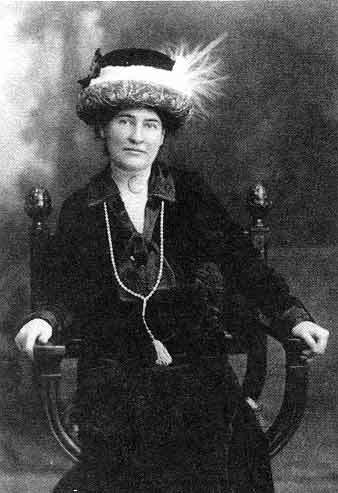 Along with Tolkien and Austen, Willa Cather is one of my favorite authors. Reading Cather is a lovely way to look into both American history and human nature while retaining a sense of God’s presence. Her writing combines beauty with precision in a way that makes her work just as enjoyable as it is engaging. Through reading Cather’s work, I have certainly gotten a better sense of our country’s history. She chose American topics, from colonization to post WWI, and researched intensely for each novel. Throughout her novels, she retains the sense of our ties to Europe both through history and later emigration. Connecting with the roots of our country’s people lends depth and permanence to her perspective. In her work, time flows naturally within the solid stream of history. Her novels are not just about chronological facts; they delve into history as a human experience. She does not balk at gray areas but lays them out to be thought through alongside her story line. The good and the bad are right there, intermingling, needing to be sorted out. When sorting out virtue and vice, Cather triumphs. In the novels that I mention below, the moral compass points true. Endings aren’t always what would be called happy but, for the most part, justice and mercy win out. Repentance is real and those who don’t have the gumption to change when they ought are not fulfilled. In the midst of human conflict, Cather’s writing shows how God’s presence permeates life. She portrays right in alignment with God. Her good Characters seek God. He is there interacting with people and history. He is there in the beauty of creation. He is there in people’s sense of kindness, virtue, and forgiveness. Having read most of her writing in this past year, I am going to recommend those which I consider the best from a Catholic perspective. 1) Death Comes for the Archbishop – I think that this is a must read for any American Catholic. Based on the life of Jean-Baptise Lamy, the first bishop of the newly acquired Southwest territory, it details his experience as a missionary there. The spiritual richness of this book is as vast as the geographical territory covered. It is a story of both physical and spiritual endurance as well as the missionaries’ great love for their people. 2) My Antonia: This one is also a must read, even if just for its sheer beauty. It’s the story of a Catholic Bohemian immigrant to the frontier, Antonia, as seen through the eyes of an American neighbor, Jim. This novel is about frontier life, town life, education, and turn of the century change. Ultimately, it presents the question of where happiness and fulfillment lies. 3) Shadows on the Rock: This novel is about the founding of Quebec and centers on the settlement’s apothecary and his daughter. It is the story of an early North American colony where the Church struggles alongside the people for survival. The characters are rich and engaging and so is the description of life. 4) Sapphira & the Slave Girl: Cather’s inspiration for this novel was a childhood experience in which she saw two former slaves, a mother and daughter, reunited. This book not only shows the corruptive influence that slave owning has on Sapphira and the good of abolition, it also gives a sense of the thought, society, and culture of that time. 5) One of Ours: This novel takes place in the time of World War I. It is the story of a young man on a desperate but somewhat languid search for meaning in his life. He ends his journey nobly. I loved how much heart this book had, not just in the main charters but in the American people. The last line of the novel is a simple but outstanding reminder of where God is in my life. These novels all teach about human nature within the context of history. They reflect the American spirit of going out, facing trials, and enduring. Besides the obvious parallel that that kind of journey has with the spiritual life, her novels are enriched with a sense of God permeating the very rocks, prairies, and deserts that people are living out their lives. Heather Wood is a full time housewife, homeschooling mother of 3 young children. She is also the creator of Mama’s Notebooks, a website that provides helpful planners for family life. Heather has a degree in Chemistry and loves to knit, crochet, read, write, and lacto-ferment. In addition to blogging at Mama’s Notebooks, Heather is a contributing writer for Real Housekeeping. I hope that you love it as much as I do! My Antonia is the only one I’ve read. It really is beautiful, but it’s been over 10 years since I read it. Time for a re-read and to check out another one on the list. Enjoy! I’d love to hear your thoughts about whatever you read. Heather, did you know that two of the figures in Shadows on the Rock — Bishop Laval & Marie of the Incarnation– will be canonized next year? Wow, I didn’t but I’m not surprised from having met them in the novel! Thanks so much for the link :)! I live in the town Willa Cather is from! We’re surrounded by her and the history everyday…from her home, the museum and her books! I would highly recommend reading her novels. And if you ever get a wild hair, travel to our little town and take the tour or come during Willa weekend!! Willa weekend sounds like a lot of fun! It must be great to be so close to what inspired her. Heather, thanks for this list!! I’m a big Cather fan but haven’t heard of Shadows on the Rock or Sapphira and the Slave Girl. More to add to my ever-growing reading list! Glad to be of service! Enjoy! Wonderful! I started with My Antonia too and it set the stage well for the others. I love Death Comes For The Archbishop! My husband’s spiritual director taught high school English for a time and recommended it to us. That (as well as Brideshead Revisited) we know because of his excellent recommendation. I learn a lot about Faith from reading novels too. Cather is certainly a master of writing realistic characters and showing how their choices lead them toward or away from God. I hope that you enjoy her other novels! I own My Antonia, but I have not read it yet. Maybe I will read it in the fall. I would highly encourage it! It is simply beautiful and I love the chatacters! I love the first three books and still have to pick up the last two. Willa Cather had such a brilliant grasp of the beauty of the American frontier, the Catholic faith (despite not being Catholic), and the human heart. Thanks for sharing your love of this great literature with us. My pleasure! I hope that you enjoy the other novels. I still have the very copy of My Antonia that we read in my sophomore English class. I don’t remember it very well, though I do recall liking it. Thanks for putting it back on my radar — it sounds like it’ll be an even more rewarding read with many more years of life experience under my belt. And thanks for suggesting some of her more obscure books, too — I’d never heard of a few of those. Thanks! Reading my Antonia again after becoming Catholic and a mother totally changed it for me-for the better. The beauty of the writing makes it enjoyable at any time but I think that life experience helped me see the depth of her writing better. I hope that you enjoy the other novels too! Just download two of these from my library! Starting My Antonia on the way to work today. While I’m certainly in favor of spreading the word about this great American novelist, somewhat forgotten nowadays, I think you do her and your readers a disservice by neglecting to mention that her own lifestyle was hardly textbook catholic. Moreover she was episcopalian and never catholic. Her literary and life lessons are not exclusive to a particular religious point of view but inclusive of all human drama. I do not understand how you can reduce the message of her novels and stories, including her high school valedictorian address, to the drumbeat of one over another. Hi Jim. This is a Catholic blog written for a Catholic audience. 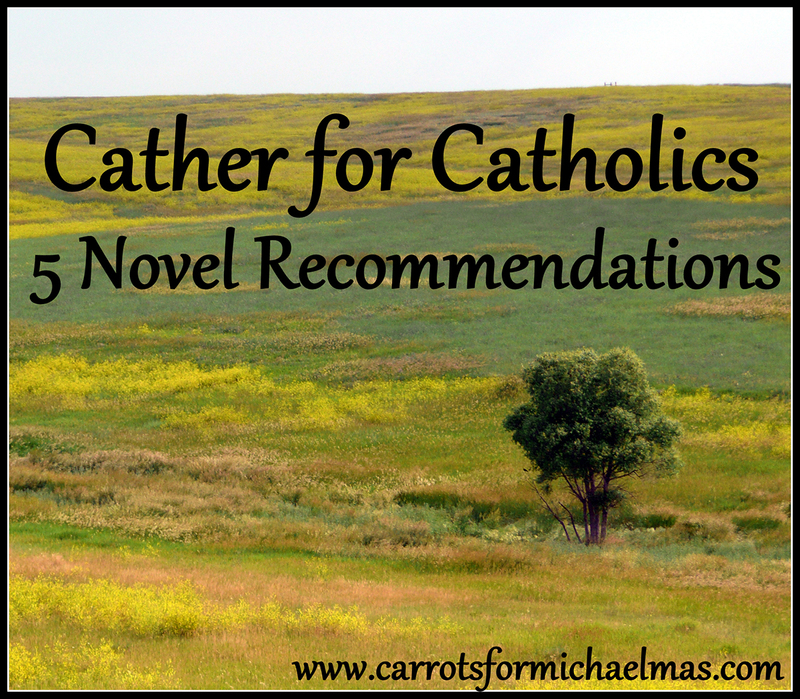 Heather’s piece is an introduction to Cather for Catholics expressing why they might be particularly interested in her work. If you’re not the right audience for this particular angle, that’s fine. But expecting a Catholic site NOT to cater to Catholic readers is honestly, pretty absurd. This is not a dissertation on Cather that should include every aspect of her biography and influence as a writer. It’s a very short blog post suggesting a few books to Catholic readers. I recommend reading about Cather in some literary journals or picking up a biography at the library if you’re looking for an in depth look at Cather.